Good morning! How've you been since I last checked in? I had a great vacation in LA attending the CHA Mega Show with a side of Disneyland with Bret. The show is great and the best part is hanging out with Roseann, and soaking up some creative inspiration. I thought I would share some photos with you, and if you'd like to see more check out Roseann's CHA posts on Facebook. She has tons of pictures. 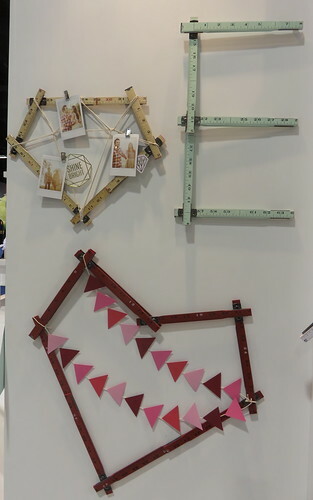 You can also search the tags #cha2016 and #chashow on Instagram for lots of photos. 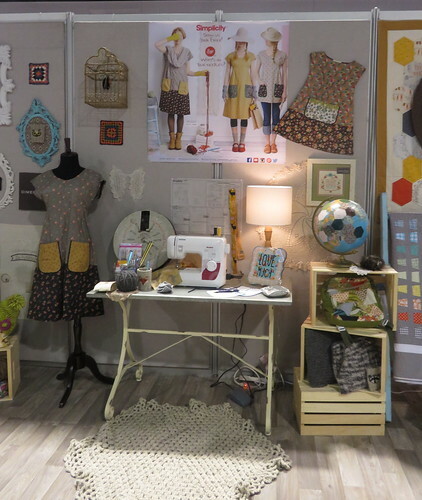 Loved this display about the Dotty Angel Frock in the Simplicity booth. Irons! 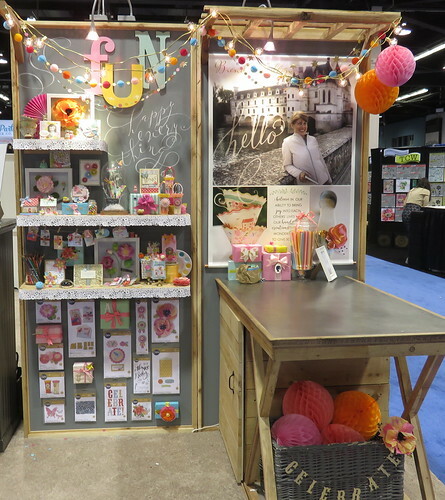 I was at the Clover USA booth. This little iron gets super hot, and has a nice smooth faceplate. Perfect for traveling, it draws a lot less power than a full size iron, and would be great at a retreat. 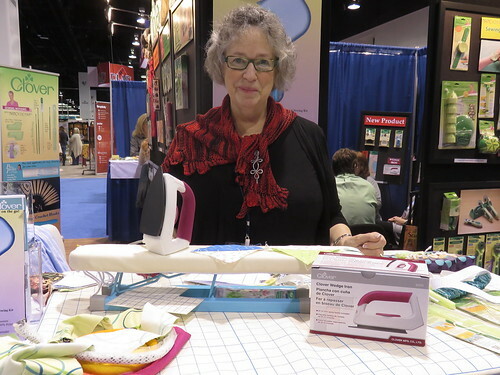 I also really liked that little ironing board, it folds down so it's perfect for sliding into bags (and would solve my ham problem). 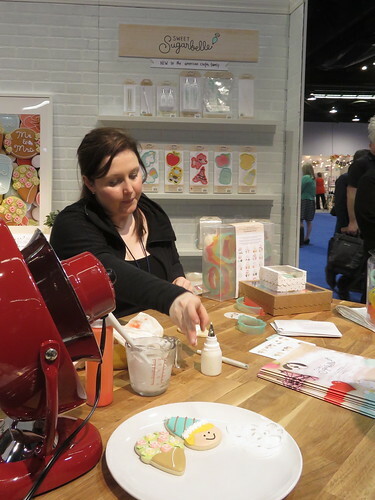 I loved the possibilities of many of the products that I saw demonstrated. 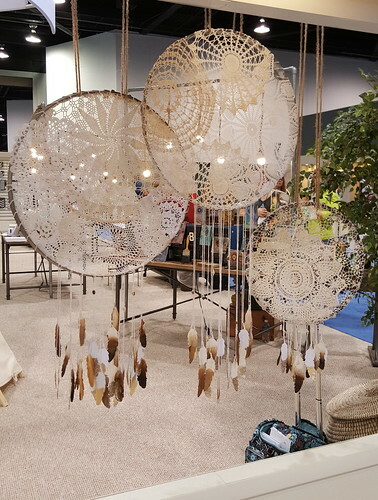 Saw these amazing doily dream catchers in the Spellbinder's booth. Loved the romantic look. We R Memory Keepers had a great display of these rulers. The Ruler Studio Line had all kinds of accessories to go with the rulers, and I would have bought one of each had this been a retail show. So clever. How many times have you seen a vintage ruler in a magazine photo shoot and wished you had one? If you're me A MILLION TIMES. Sweet Sugarbelle! Holy cow people, I am in love with everything about this. 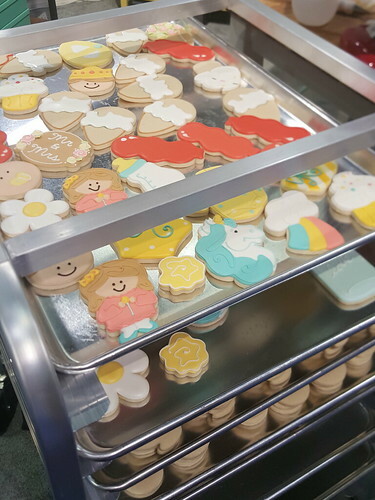 There were cookie cutters, recipe cards with complete instructions on how to ice these cute cookies, cute boxes to give your cookies in. Perfection. So super cute. You can check out a video here. Disneyland was fun, more crowded than we expected based on past experience. Of course it didn't stop us from enjoying our time there. Nighttime at the park is pretty festive, but nothing compares to the lights on the Small World ride. Bret and I had a great time. We topped of our trip with a visit to Bob's Big Boy and breakfast with our friend Dana. I feel so lucky to have great friends from blogging and now instagramming. Disneyland is on my to-do list! Did you ride the teacups? Love love loved spending time with you there!! Your perspective and what you see is always different from mine so it opens my eyes. So glad we got to meet up at CHA again. Great Granny with a Twist!